POC is synonymous in our circles with images of Scandi-style cycling kit and helmets. Almost no one would associate it with Maui, Volvo Cars or emancipation. We headed to POC’s HQ in Stockholm to find out exactly what links these terms as inextricably as meatballs and lingonberry jam. The fact that ‘POC is a Swedish company’ is a phrase that was repeated multiple times during my visit. But what does that actually mean? If I’m honest, my previous understanding of ‘Swedishness’ amounted to the contents of this video. Unlike in Germany, the topic of emancipation and equal rights doesn’t even feature in Sweden. Not to have them is positively barbarian and an archaic concept that’s banished to the history books. Stood by the coffee machine, I’m listening to a handful of POC employees chat about everything from how their partner’s paternity leave is going to whether they should mountain bike or road ride after work. I note that there are remarkably few people in the POC office on this particular day, and assume that this is what flexible working hours and family-oriented work schedules look like. I’m right. As I walk down a hallway with my coffee I bump into a tall man, laden down with a tin of paint and a ladder, who greets me warmly: “Hi, I’m Jan Woxing, co-founder and creative director. It’s great to have you here.” So casual, without any hint of pretence. Could there be any more textbook-worthy hints to Sweden’s identity? 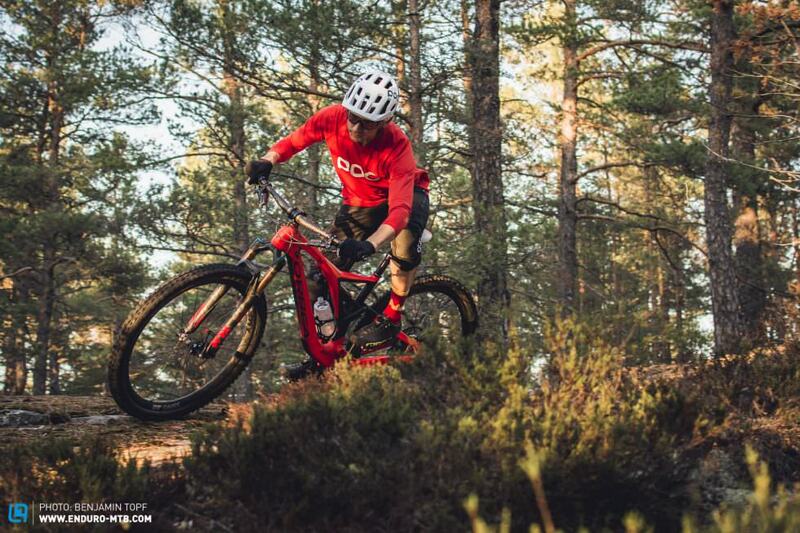 POC is a Swedish company with a strong mission to do the best we can to save lives and to reduce the consequences of accidents for gravity sports athletes and cyclists. 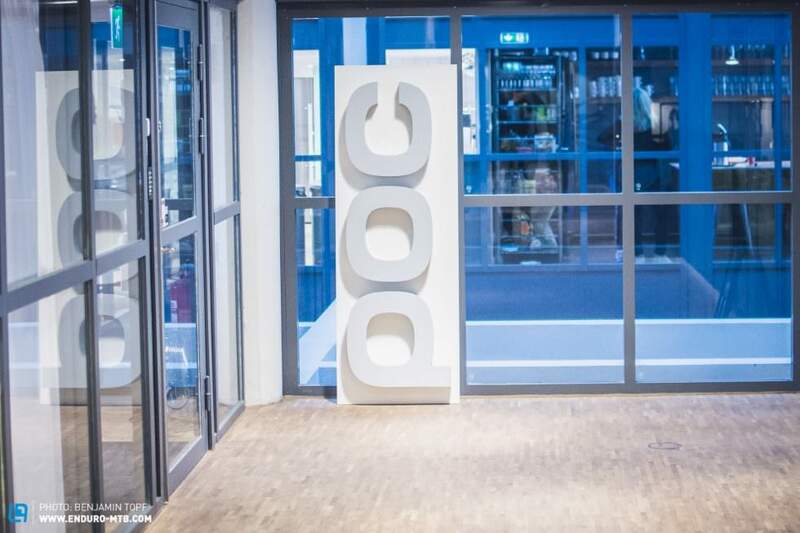 POC was founded in 2005 by Stefan Ytterborn with its focus predominantly fixed on the ski racing market. The accumulated know-how from winter-based gravity sports eventually found its way over to mountain biking, and the company launched an initial off-road collection. For POC, this was a logical step as it was able to borrow technology from its proprietary production methods to create products that would appeal to a partially overlapping market. 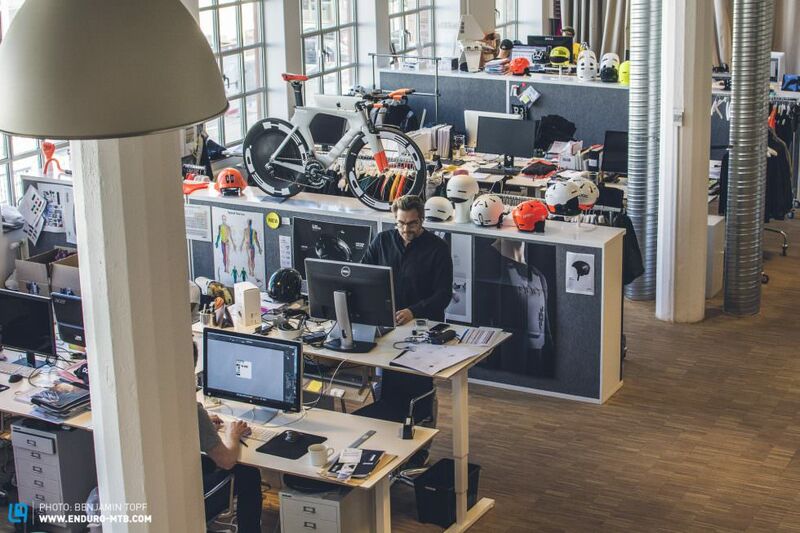 In 2012, the specialist outdoor brand Black Diamond bought POC and adopted a strategic direction towards road riding. Two years later POC partnered up with Swedish car brand Volvo in order to jointly explore innovative safety solutions. In 2015 POC was sold to Investcorp, a global investment company. These days POC is spread across 25 countries, with more than 100 employees around the world. 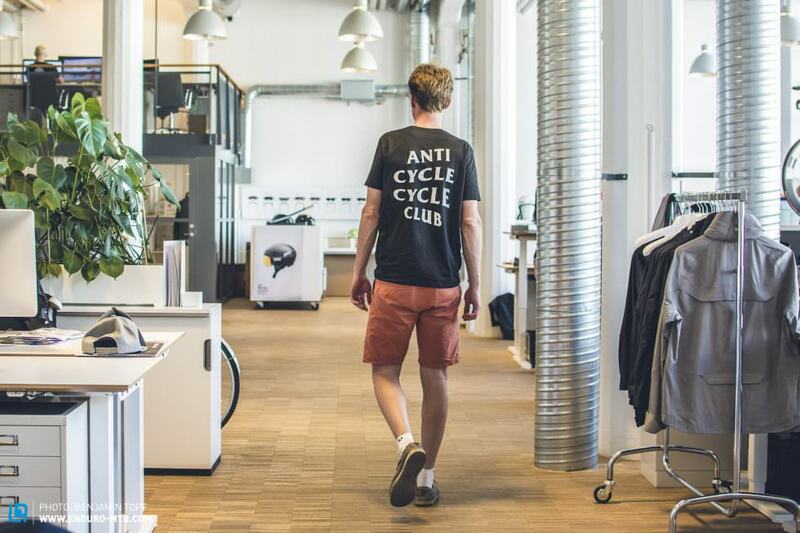 The laidback HQ in Sweden counts just 35 smart brains on its books, which makes it feel a long way removed from big business and corporate strategies. How does POC define safety? The Swedes’ ambitions go beyond simply ensuring the greatest protection in the moment of impact. It’s also about accident prevention and those potentially life-saving moments after the crash. A three-pronged approach, if you like. Look at POC’s product line-up and you’ll see that it attempts to tackle at least one element, if not all three. The AVIP series, which stands for Attention, Visibility, Interaction, Protection, utilizes specific bright colours to enhance visibility while training – with the added goal of prompting drivers to not only spot the rider, but also recognise that he or she is a cyclist. Visibility alone isn’t sufficient. 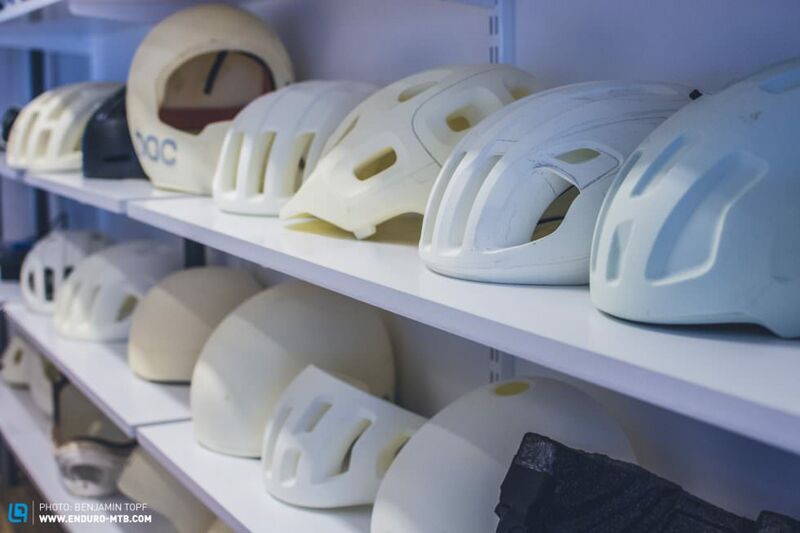 When it comes to crashing, POC deploys various systems, including the well-documented SPIN technology in its helmets and printed ceramic particles in strategic locations on its jerseys to limit road rash and grazes from rough surfaces – much like motorbike riders wear leather. Right now POC is considering all options to integrate alarm systems or even crash sensors into their helmets. It’s more than just hitting your head. In the conceptual phase of all its products, POC starts from the idea of ‘maximum safety.’ It’s something that it won’t compromise on, and claims that the design and all further aspects are subordinate to this idea. But that’s not to say that it doesn’t place a huge emphasis on aesthetics too – in fact, it’s POC’s distinctive design language that has garnered it so many fans. A good design should do more than just be easy on the eye; the more comfortable you feel wearing a helmet, the more you’ll understand that it’s a valuable piece of equipment rather than just a necessary evil to be worn on the bike. Considering the size of the company and its available resources, it’s surprising just how heavily POC invests in research. 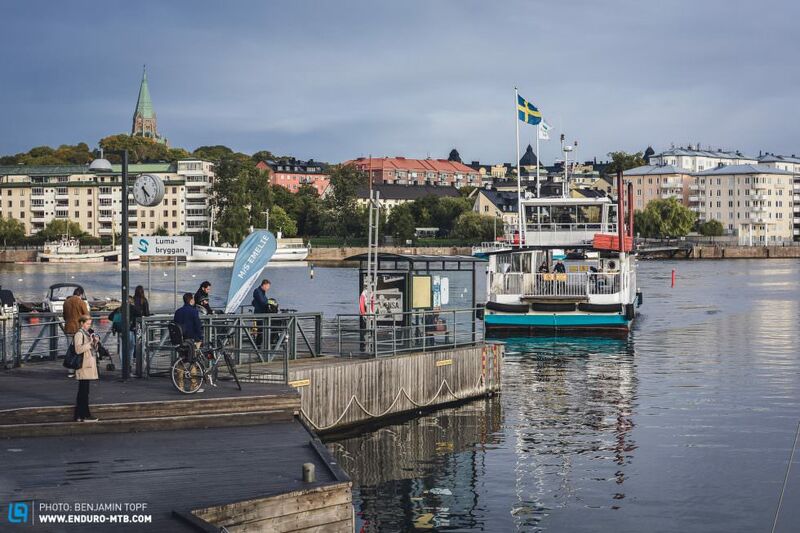 The Stockholm location for the HQ is an inspired one, I learn, putting the brand in close contact with specialists from the worlds of automobiles, sports medicine and neurology. 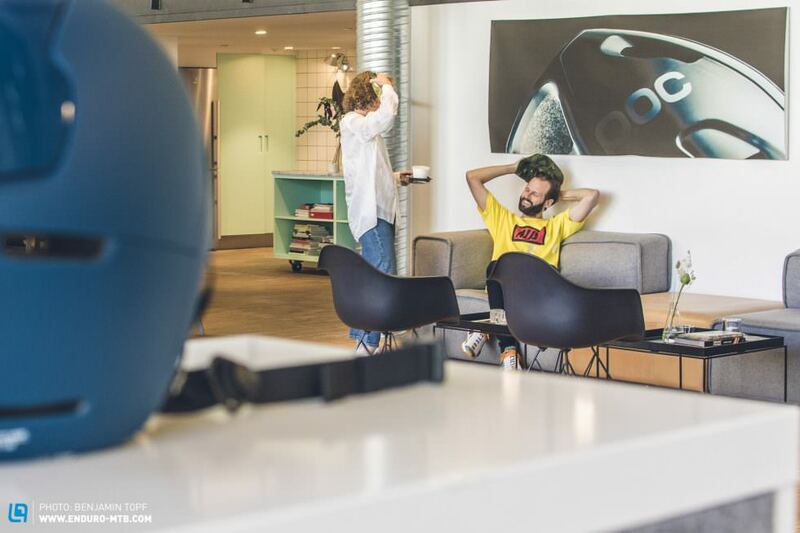 Like most of its competitors, POC’s production takes place in the Far East, and it’s just research, development and administration that’s housed in the Stockholm HQ. 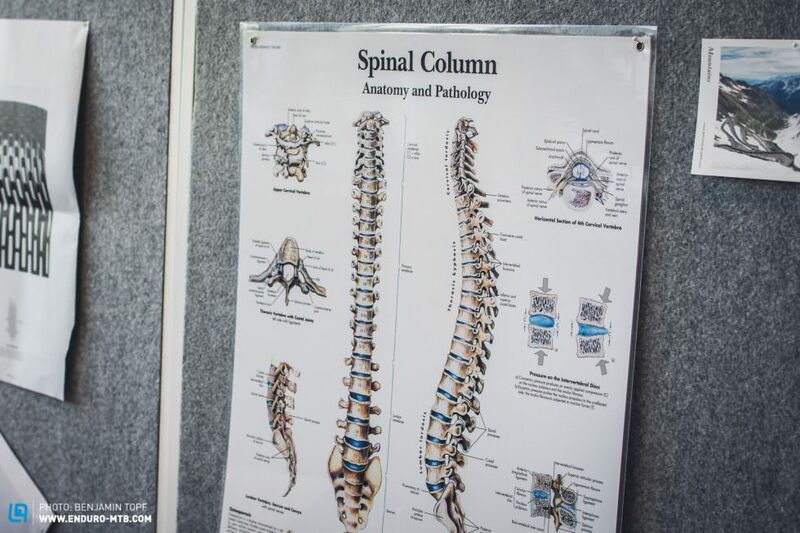 There are also two ‘labs’ here: the POC Lab, which investigates the most up-to-date neurological and spinal research; and the POC WATTS Lab that explores aerodynamics. It goes without saying that certain helmets and apparel shouldn’t just provide the ultimate safety for the athlete, but also make them faster – especially for the road side of things this is a mayor topic. Then there’s the brand’s current collaboration with the Swedish car manufacturer Volvo. This particular project takes the name POC AID, seeing the two companies jointly develop intelligent products that will integrate digital technologies in order to prevent accidents. POC’s aim here is that the cyclist will soon become part of vehicle-to-vehicle (V2V) communication protocols – it’s definitely exciting to see this progress! Volvo and POC have also jointly developed a test protocol that analyses the injuries to a cyclist of a crash into the A, B or C pillars of a car. It was surprising to hear that this move by Volvo Cars and POC was a first in the industry, and that such test procedures didn’t already exist as standard for helmet manufacturers. 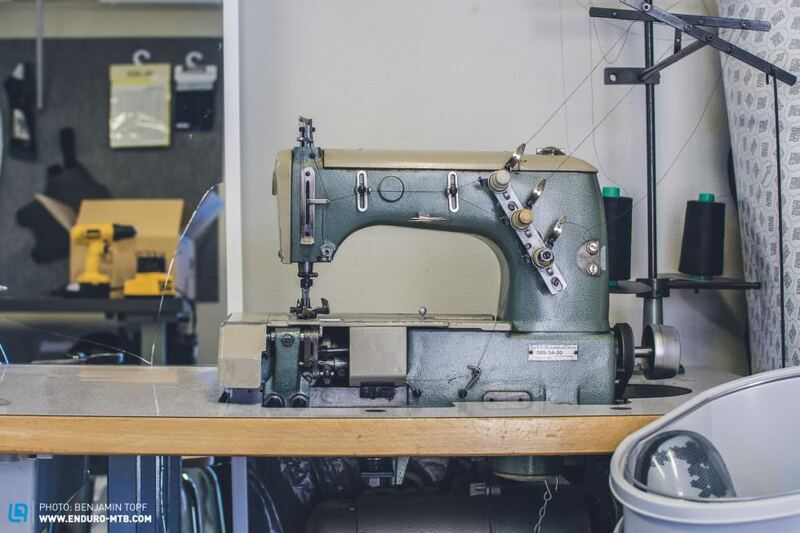 But as technical and abstract as all this product development sounds, it’s all implemented into the product range in a very accessible manner. 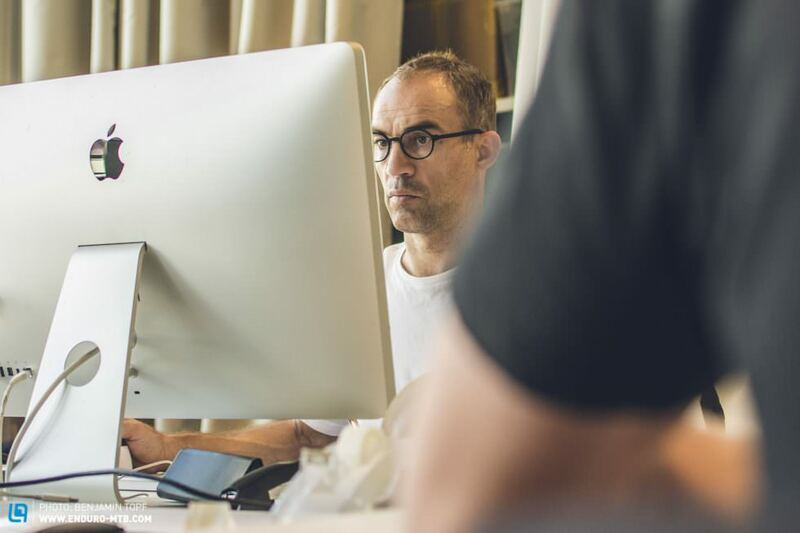 Fredrik Hallander, development and engineering expert, stands watchfully over an armada of sewing machines and clay moulders that bring the CFD simulations to life. As Fredrik guides me through the prototype workshop he tells me about developing the POC Octal helmet and how he put the final touches on the design while sat on a beach in Maui. That flexible approach to work locations and hours clearly pays off, I think to myself, and he agrees. “A 13-hour day on Maui is pretty long, too.” he adds. I like this guy, and that feeling grows when he shows me a photo of a kitchen and chairs that he designed and built in his free time. Charles Eames and Walter Knoll eat your heart out. Oh yeah, and Fredrik isn’t just a surfer, he’s also a damn good cyclist. Back to the airport from the workshop, I was exhilarated at all the new faces I’d met, impressed by the insider look I’d had at POC’s day-to-day business, and excited about Stockholm’s beautiful trails. I opened my notebox and scribbled inside it. It read: POC is a brand that wants to make the future zero-carbon-society faster and above all safer. Innovative products emerge from a flexible environment with a timeless, Scandinavian design. And there’s a chair-building surfer dude with five sewing machines who works there. POC is such a Swedish company.